Adventures in Whitewater takes pride in providing safe, unique, exciting, and enjoyable rafting trips of the highest quality. We only hire and train the most exceptional guides with the best personalities. We do this because it is our passion. We offer trips for all ages and ability levels, from first-time paddlers looking for a fun family float trip, to adventurers of the highest order seeking America's most intense Class-V action in Gore Canyon, we have something for everyone! We understand that you have a choice in rafting companies, which is why we focus on providing the highest-level of customer service, safety, professionalism, and fun! Come paddle with us! From 30lbs to 99 years, there is a trip for everyone! Great for large groups, corporate retreats, bridal parties, weddings, or any occasion. 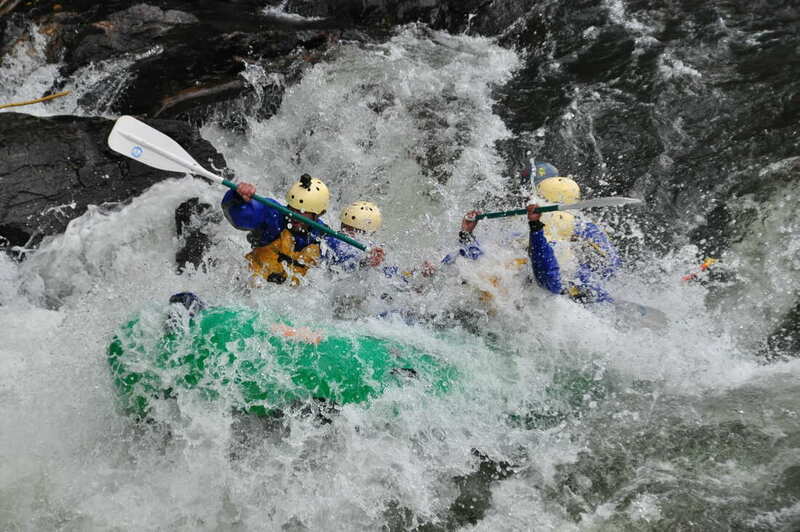 Clear Creek has awesome whitewater options for all ability levels! Try Beginner Class-III, Intermediate Class-III/IV, and Advanced Class-IV+ trips to stoke-up your adventure levels. 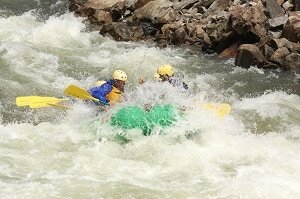 Colorado's most intense Class-V rafting adventure! Enjoy a full-day of Gore Canyon rafting with an awesome riverside lunch at the end! Gore season is typically early August through mid September. 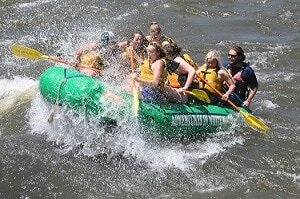 Raft from Colorado to Wyoming on one of our North Platte Wilderness Adventures. Our Full Day, Overnight, and Guided Fishing options have something to entertain everybody in your group.